The rise of an urban creative movementmis in session. 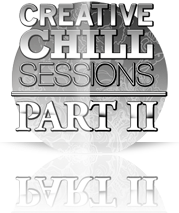 NEXTMARVEL's "Creative Chill Sessions" showcases works of individuals who value the importance of expressive freedom through mediums of art and music, and provides an open platform to display talent. NEXTMARVEL is a growing high-level creative network of independent artists, designers, and technologists. We are a dynamic partnership network of individuals in the creative, fine arts and technology industries. We dream about them all coming together as one happy family, living integrated and harmoniously. We collaborate with artists, promote them and hope to inspire creatives around the world to collaborate and be a part of a greater global vision in this very connected world. Our core partnership also services as high-level brand communicators through bold art, design and technology. Receive notes on events, work, inspiration, tutorials, and more to come!